Today we have Best Selling Author of Yes You Can Get Pregnant with her latest book Body Belief. In the last 15 years of treating women’s health and fertility, Aimee Raupp begin to see a commonality between many of her patients. They would come to her with chronic (often mysterious) health complaints and unexplained infertility. Conventional Medicine often were not able to pinpoint any causative factors for a pervasive feeling of unwell (as well as a myriad of symptoms) amongst this group and not able to tell them why they could not conceive or sustain a pregnancy. With her extensive knowledge of Traditional Chinese Medicine and Functional Medicine Aimee was able to start connecting some very crucial dots. She found that many women were living with an undiagnosed autoimmune disease. She found that 1 in 9 women have an undiagnosed autoimmune condition and that up to 40% of unexplained infertility is in result of autoimmune disease. In this interview Aimee will discuss her unique perspective on why the body starts attacking itself and address the spiritual and emotional aspects that are often the missing components of true healing. This is not just a book about lifestyle & supplement recommendations instead this is a guide to reconnect with ourselves and challenge the harmful beliefs that are blocking us from our own innate wellness. 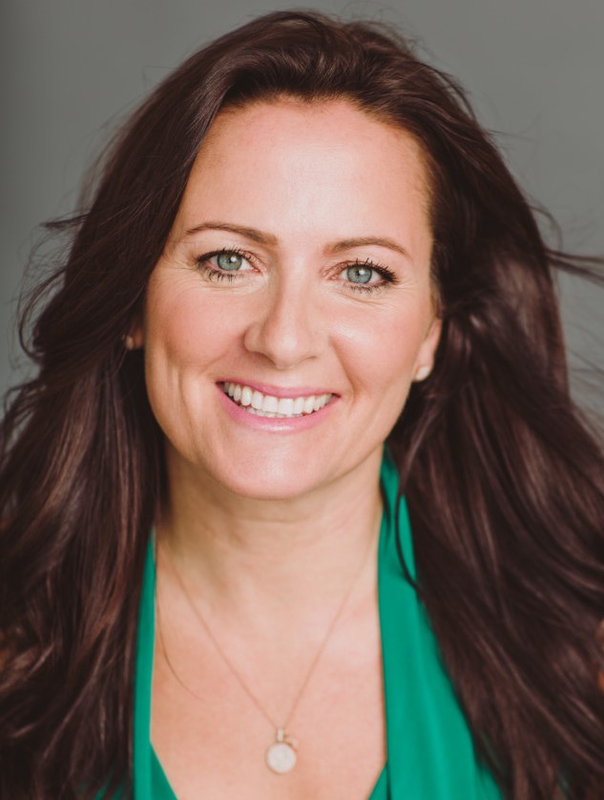 Author, acupuncturist, and herbalist, Aimee Raupp is a women’s health and wellness expert whose mission through her teachings is to educate and inspire women, improve their vitality, celebrate their beauty, and guide them to reconnect to the presence of their optimal health. Aimee’s work focuses on reawakening wellness, rather than curing illness. She is currently in private practice in Manhattan, the Hamptons and Nyack, NY. Aimee is the bestselling author of Yes, You Can Get Pregnant: How to Improve Your Fertility Now & Into Your 40s (Demos Health), combining her clinical expertise and personal experience helping scores of women — many of whom have been told they had poor fertility outlooks — to get pregnant, stay pregnant, and have healthy babies. Aimee is also the author of Chill Out & Get Healthy (Penguin). Aimee is currently at work on her latest book, Body Belief: How To Heal Autoimmunity, Radically Shift Your Health & Love Your Body More. Body Belief, which combines Aimee’s 12 years of patient care with her deep-rooted spiritual and emotional work, will bring its readers a roadmap to heal from autoimmune disease, renew hope in their body and reawaken their health. Body Belief will be published by Hay House, and is set to launch in early 2018. You can find more about Aimee Raupp at her website and by following her on LinkedIn, Twitter, Instagram, Facebook. In 2012, Aimee created the Aimee Raupp Beauty line of original, organic skincare as an extension of her desire to improve her clients’ health and beauty. Free of harmful, hormonally-disruptive chemicals, the Aimee Raupp Beauty line provides high-quality, hand-crafted skincare products, ranging from Organic Anti-aging Facial Oil to Organic Belly Butter. Aimee has appeared on ABC Television’s “The View”, FOX Television’s “Good Day New York”, Martha Stewart Radio, and Yahoo! Shine, and in an array of national magazines. She has served as spokesperson for Culturelle, Whole Foods, lululemon athletica, and the American Leisure Spa Group. 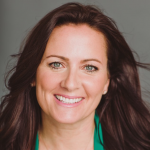 She is also a frequent women’s health columnist and speaker, and has presented lectures at SheSummit, Wanderlust and numerous women’s health and wellness conferences. 4:18 Praise for Aimee’s latest book, Body Belief-it’s a life changer! 5:21 Aimee discusses motivation behind writing a book about Autoimmune disease. 10:18 Spiritual disconnection-a component of autoimmune disease rarely discussed. 13:16 Could it be an autoimmune disease? Common symptoms seen in many undiagnosed cases. 18:49 Renewing your belief systems-time to call B.S. on all the belief systems that are doing you harm! 20:42 Attention: you can no longer use genetics as your excuse-the science of Epigenetics. 25:18 Wellness defined-the emphasis must always be on wellness versus disease. 27:01 Feeling broken? -Advice to women who feel there is something innately wrong with them. 29:54 Mental/Emotional aspect of fertility discussed-the fears and beliefs that limit us. 0:27 Charlene Lincoln: Welcome back and today I am so honored to have Aimee Raupp, licensed acupuncturist. She is a renowned women’s health and wellness expert and the author of the books “Chill Out & Get Healthy”, “Yes, You Can Get Pregnant”, and the forthcoming book “Body Belief” which will be released in March 2018. Aimee is a licensed acupuncturist and herbalist in private practice in New York. She holds a Master’s of Science Degree in Traditional Oriental Medicine from the Pacific College of Oriental Medicine and a Bachelor’s Degree in Biology from Rutgers University. She is the founder of the Aimee Raupp Beauty line of handcrafted organic skincare products. She has appeared on The View, has been featured in Glamour, Shape, Redbook and has received endorsements from Deepak Chopra, Arianna Huffington and Gabby Bernstein for her work in helping thousands of women to improve their vitality, celebrate their beauty and to reconnect to their presence of their optimal health. Additionally, Amy serves as a women’s health expert and contributor for Thrive Global, an online platform founded by Arianna Huffington which is accelerating the culture shift that allows people to reclaim their lives and move from merely surviving to thriving. Aimee is also an active columnist and blogger and frequent speaker at women’s health and wellness conferences across the nation. She engages her large community worldwide through her online programs and with her website AimeeRaupp.com. Welcome, Aimee. Thank you so much for giving us your time. I’m so honored. Aimee Raupp: Of course. Thank you, Charlene. I’m so excited to be here, so thank you so much. 2:24 CL: I want to get straight to the questions because I have a lot of questions for you but I just want to say I have had some time to read your book and I want to say inspirational, uplifting, empowering. It’s going to speak to millions of women like you said who are feeling mediocre, suboptimal, walking around, for lack of a better word, feeling like crap. I’ve been there too, you know, where you just have so many signs and symptoms, no one can quite figure out what the heck is going on with you. You just know you’re not feeling right, even if your lab tests look normal. But it kind of brings us back to going back into our intuition, knowing things are in balance, getting connected back with ourselves. So it’s a wonderful book, I highly encourage everyone get ahold of it because it could change your life. Really, it can change your life. It speaks to so many of us. 3:26 CL: I guess the first question is, what compelled you to write a book about autoimmune disease? AR: I’ve been in clinical practice for about 15 years and see a lot of people, particularly women, suffering with a wide variety of vague symptoms and just generally feeling like crap, and that opened my mind and my eyes to autoimmune conditions. Plus when I was writing my second book “Yes, You Can Get Pregnant”, one thing I discovered in the world of fertility and what I started to see clinically very clear cut was that majority of women walking around with “unexplained” infertility which I think is about 40 percent of women that are having fertility challenges, I believe – and many other scientists and doctors agree with me – that many of these women are actually dealing with an undiagnosed autoimmune condition. Whether it’d be celiac or Hashimoto’s, rheumatoid arthritis, lupus, you name it, there is some level of autoimmunity that’s going on and that’s basically preventing the body from feeling safe enough, hospitable enough to want to host another life. When I wrote “Yes, You Can Get Pregnant” I really geared the book emotionally, physically, nutritionally towards helping heal and calm those autoimmunity is the way I look at it, like quell the immune system. When it came time for another book idea, it dawned on me that I should write to women in general about autoimmune diseases because the statistics are outstanding and frightening. The incidence of autoimmune conditions have increased by 30 percent over the last 40 years, affecting women in their prime, so like 20s to 40s, 75 percent more than men. It is estimated that 1 in 9 women will be diagnosed with an autoimmune condition between the ages of 20 and 45. I think of things like 5 percent of people that actually have celiac disease are actually diagnosed. So there is just a preponderance of autoimmunity going on what I see clinically and online for all my teachings, all my reach, is what women in general are walking around feeling like crap and they’re accepting it. They say the average autoimmune patient visits 6 doctors over a 5-year period before they ever even get a diagnosis. That’s absurd. I’m a practitioner of traditional Chinese medicine and so from that perspective, we don’t really care about a diagnosis. It doesn’t impact how we treat. We treat what we see, that’s kind of what we’re always told. And we go very subjectively on the patient symptoms and how they improve or not. So for me, I can see this conglomeration of vague symptoms and I can pretty much nail it right away and say “You probably have an undiagnosed autoimmune condition.” It doesn’t quite matter because we can still fix it regardless of what it is, but then recommend further testing or what-have-you. But yeah, I just saw an incredible demand and to what you said, what I love about the book “Body Belief” it it’s not just about follow this diet like an autoimmune paleo style and heal your gut. But it is about that, right? But it’s even more about the spiritual, emotional piece. In Chinese medicine there is always an emotional component to disease, disharmony, anything disruptive in the body. When we look at autoimmunity, for those of you that don’t know exactly what that means, it’s the body begins attacking normal healthy tissue for unknown reasons. So all of a sudden it’s like the immune system is on high alert and the body starts attacking itself for no known reason. There’s no seeming pathogen, there’s no infection, there’s no bacteria. We’re just not sure why. So on a Chinese medicine perspective, we go one step deeper introspectively, if you will, and say, well, where are you attacking yourself on an emotional level? Where are you not on the same page with your body. Where are you not supporting yourself like in relationships, in your relationships like with people, with food, with money, with anything and everything. Where are you disconnected? And when that disconnection happens, chaos can ensue in the body. So I’m all about helping and I do this all the time in the clinic, so I think this book really just brings it to life in a really formulated way. 8:24 CL: Is it difficult for people to identify where they’re disconnected in their lives? Because that’s a huge kind of esoteric question. I love that about the book because many of us who are familiar with autoimmune diseases, you can read about it clinically and kind of have that understanding of attacking the body, turning on to oneself. But you talk about the spiritual disconnection and that’s not really discussed. That takes a little bit of deeper work, doesn’t it, because when you’re disconnected, you’re sort of disconnected from knowing, right? AR: Everything, yeah. The book is laid out in such that the first section of the book is Reconnect. So I often actually say that too in the book of I could give you the diet and the supplements to follow but until you actually decide to reconnect, create or renew a relationship with your body again, like live in your body again, feel it, understand how the world affects it, how it interacts in the world and how are you basically living your life. Are you aligned with your belief systems, are you being true to yourself, are you honoring yourself, are you just being a doormat and you’re putting everybody else ahead of you which is what women – and I love us all and I love myself dearly so I mean no offense when I say this but women tend to put everyone else before themselves especially mothers. Especially women in partnerships too. It’s like our partners become more important, our jobs become more important and then we become last. So the first part of the book is all about that reconnection. I mean, it’s simple ways of a daily meditation practice or a journal practice or just sitting and breathing for a few minutes every day and just checking in like “How am I feeling?” And actually going over and assessing very important pieces of your life like do you feel reconnected in what you eat and your exercise and your sleep and your relationships. So really identifying and living in your body again. 10:34 CL: You mentioned journaling. In the book, do you detail out the questions to ask yourself? Like you were saying just then, those are big questions to ask oneself. AR: We have it in the book and then we’ll also have like a website that goes with the book where there’ll be even more work for people which will be really nice too. So it’s going to be somewhat interactive. But absolutely, each chapter has really like tangible items of like, okay, these are your next steps, these are the things we’re going to start doing. Yeah, I think it’s a really good recipe for reawakening health, we’ll see. AR: Skin conditions like eczema, psoriasis, those are probably the most common ones I see. Digestive issues; diarrhea, constipation, gas, bloating. But regular basis type of things, not one-offs. Waking up after 9 hours of sleep and not feeling refreshed or 7 hours of sleep and not feeling refreshed. Walking around feeling like you’re in a fog. Difficulty losing weight, difficulty gaining weight. Lowered immune system like you always catch that cold that’s going around the office, like random allergic attacks. One woman in my clinic, she came in for fertility and was having, unfortunately, what they call habitual miscarriages. She was on her third miscarriage when I met her. Nobody was properly diagnosing her or treating what was going on. The clear-cut symptom to me: she did not have digestive stuff, she did not have skin stuff. When she got bug bites, she got these incredible welts, it would take up a majority of the tissue. She was very allergic but no serious allergies. Just she would sneeze a lot, snotty, mucus-y always and I said, “I’m 99% positive you have an autoimmune condition.” Sure enough, she did and it’s basically you take a blood thinner and then she carried her pregnancy to term which is amazing. We did a lot of gut healing in her and a lot of emotional healing. But easiest fix in the world, got pregnant naturally. A beautiful, easy, healthy pregnancy. Another thing too if you’re trying to get pregnant or you have had miscarriages, a very common symptom is flu-like symptoms at the first sign of pregnancy. You try to get pregnant that month and maybe you just got a positive pregnancy test and then you get like a flu and then maybe you miscarry, that’s an autoimmune condition – clear as day. So there is varying symptoms but I think what I always see is a skin thing. Maybe it’s like the bug bite reaction like she had, eczema, psoriasis and then couple that with like sinus-y stuff or GI stuff. And they just don’t feel their best. They always say like, “My energy should be better. I just don’t understand why I’m always getting sick or why I always feel like this or that.” I think you can pretty much assume there is an autoimmune system issues going on in there. 14:26 CL: Absolutely. Or they feel tired all day and at night they can’t… well, that can be a whole other thing, adrenal. AR: That could be adrenals, too. It’s like that unrested feeling like no matter what you do, even on the weekends and that kind of like hungover or you’re in a fog feeling. Basically, that’s inflammation of the body or just random aches and pains and things move around. It’s like pseudo rheumatoid arthritis symptoms but we can’t quite figure it out. And they’ve tried so many different things and nothing seems to be working. That’s another one too. 15:07 CL: I so love that we’re having this conversation because I really want to connect all the women and as you’re saying there’s millions of women who have not felt their best in years and years and years. They go and get a lab test, they fall in between those huge reference range numbers and they’re told – I think it was something in your book like, “Well, of course you’re tired. You’re a mom. And I have to say the stories in your book, they made me tear up. They were so heartbreaking because you think, gosh, these women are living their lives in silent desperation essentially and taking care of their families. And women are so strong. Honestly, I’m not that when I start feeling unwell, I’m like, “I have to take care of myself. I need to do whatever I can.” But these women just go on and on. “I’m raising three kids. I have felt like crap for 10 years. All my kids, I’m getting them to college and I’m doing everything I can and I’m running myself ragged.” I’m like, “How do you even do that? Women are so resilient in that way.” I mean, at a huge cost. AR: A huge cost, yeah. AR: I think that’s a huge piece to that reconnecting. It’s really about nourishing and supporting ourselves first and then so we have enough to give everyone else. But if we’re not connected, we don’t know that we even need it or that we’re worthy of it. We just think that, yeah, everyone else should come first and then if I have a free moment, maybe I’ll take a bath. 16:54 CL: Maybe we’re raised by a whole generation of… I don’t want to be so negative but like martyr type women in a way, like “I put my family first.” All our moms are in their 70s and 80s now, it was just the ultimate self-sacrifice and so we kind of watch that model. And I’m here to challenge that belief system and I encourage everyone else to challenge that belief system. Yes, we can have a lot on our plates and yes, it can be hard to manage our time. But we can do it in a way that better supports and nourishes ourselves so that we can be present in our lives and give what we want to give to everyone else. But it’s like, do you want to give it or are you giving it begrudgingly because I think that makes a big difference too. 18:49 CL: Absolutely. Can you talk a little bit about one big belief system and I know you talk about it in the book, the genetics belief system and what they have found out through research over the years. Because that plays a big part. I’ve heard people say that so many times. “Well, cancer runs in my family”, or, “This runs in my family so it’s kind of inevitable in a way.” Can you talk about that? AR: In the book I basically say you can no longer use genes as your excuse. Five percent of diseases are actually heritable and they’re like the real big deal ones like muscular dystrophy. Even MS isn’t genetically linked and I know a lot of people think it is. So our genes are a template from which our body, our phenotypic expression, our physical expression comes out. So you are born with a template that does come from mom and dad and grandma and grandpa. It’s kind of all mixed in there. However, the science of epigenetics which has been around now for I guess 15 or so years, maybe longer, yeah, I wrote my first book in 2009 and that was kind of when it was breaking. So I guess it’s been around for a while either way. Epigenetics shows that genes basically have switches that are either turned on or turned off and there’s a whole scientific reasoning behind it that’s called methylation. But basically, how you live your life fromm how you manage your stress to the food you eat to how much you sleep to the environmental toxins you’re exposed to influences whether those genes turn on or turn off, and that impacts whether or not the disease manifests itself. So just because someone in your family had diabetes or cancer or high blood pressure, you name it, whatever the typical things are that we hold on to from a genetic perspective, high cholesterol, it really means nothing. You can actually “reverse” that disease process. You can prevent it from coming on or you could bring it on all by not just your beliefs but I think the beliefs play a really big role in the sense that your beliefs dictate your behavior and your behavior dictates your health. So if you’re walking around believing, “I’m screwed anyway, I’m going to get diabetes because dad and mom have it,” then you might not really care about the recommendation that are given to pre-diabetics to avoid, to prevent disease or illness, or see a functional medicine doctor and kind of take hold of your health. But if you shift your understanding that genetics really have very little to do with the physical manifestation of our health and rather how we live our life and the thoughts that we think have more to do with it, then you might take a little more control or maybe feel more in control and feel more empowered that you can do things to shift the outcome of your health. And yeah, that’s really the crux of the book and I think the crux of really modern medicine where it’s headed. 22:02 CL: Oh no, so we have so much responsibility for how this all plays out. 22:06 CL: We can’t blame our relatives and our ancestors. AR: There’s no more blame. You can blame your parents if they raised you next to like a paint factory or something like that because of the environmental toxins. So if you want to blame somebody, you could do that. Or blame society or whatever agencies for creating these toxins. 22:30 CL: I think it’s so empowering that we don’t have to have that because that was such a strong belief for so many of us for so many years. AR: It is. So many of us. 22:38 CL: Yeah. Just let that one go, we’re in control here. AR: It frees you up, I agree, because we do walk around with this. My dad died of an aggressive cancer and I see my brother can have his moments where he’s like “Could it happen to me?” because it was a prostate cancer. I always say like, “No, you didn’t grow up in the same environment as him.” But we carry it, we do. Like, my mom had breast cancer. I don’t even want to get into that, with the BRCA gene and stuff. But that’s argumentative. There’s not a lot that shows just because mom had breast cancer that you’re going to get it. In fact, it’s not necessarily linked and you can do a lot to prevent it. I think that’s really empowering. 23:25 CL: It is. How do you define wellness? AR: I will start with saying as a practitioner, I feel my job is to focus on wellness and not illness. In that container, I see it as what is working for my client’s body and so get my client, my readers to focus on all the way their body does already work and support them. And also understand though that health is not just lab work or what’s on the surface, if you will. Health is mental, it’s emotional, it’s physical, it’s nutritional, it’s spiritual. When all of those are somewhat in check, we’re always a little out of balance somewhere and that’s okay, wellness should continue to thrive. So I’m trying to sum it up in one sentence. It’s like wellness really is being connected in your body and then nourishing and supporting yourself from that connected space while being compassionate and understanding to the ebbs and flows of life. So there’s going to be times in our life where it’s going to be more stressful and it might take more of our toll on us. But to be in that flow of it and understand really at the crux how we support ourselves mentally, emotionally, physically, nutritionally allows our wellness to thrive. 25:07 CL: Yes, I agree. Bringing it back to fertility, when women are struggling with fertility issues or couples are struggling with fertility issues, one thing is, it’s easy to feel isolated, maybe some blame is going on, maybe some self-blame, blame of the partner and things like that. The question is, what is something encouraging you can give to someone who feels kind of like there’s something spiritually broken about them because they cannot get pregnant or sustain a pregnancy? AR: It’s a vicious cycle and it’s a challenging place to be in and my heart always goes out to any woman in that space. The whole reason I wrote Yes, You Can Get Pregnant was because I basically wanted to scream from the rooftops that you have the power to change your health and improve your fertility. One thing I teach in everything I do fertility-related is that your fertility is an extension of your health and you have the power over your health and you can shift it. You are not your lab work, you are not your age, you are not your partner’s sperm, if you’re in a heterosexual partnership, that is. You are a holistic entity and the health needs to be thriving for fertility to happen and health is mental and emotional as much as it’s physical and nutritional. So sometimes I see it as kind of a complement from the universe because you’re on this path to get even more connected, even more in touch with who you are, how you nourish and support your body but also you get the opportunity to contemplate the kind of mother you want to be and the kind of home you want to bring this child into. I do think there is an element of us getting really in touch spiritually to allow that pregnancy to happen. But as far as my spiritual practice and my spiritual beliefs is that any woman who has a desire to have a baby, there is a baby that’s coming to her and it’s just about you getting into the right alignment. And not that you’re in the wrong alignment now but more that I think you get deeper and more empowered in the woman you are and the mother you’re going to be. With that, your beliefs are shifting and so your behaviors will shift and fertility will thrive as an extension of your health. AR: Meditate, meditate, meditate. But yeah, Yes, You Can Get Pregnant is similar to Body Belief in the sense that there’s a very big mental/emotional piece that’s discussed in there. Especially for the women that feel like “I don’t need that part,” you probably need it the most. To dive in and embrace and, yeah, I walk through all these beliefs that limit us, the stories we tell ourselves. I challenge in the book women to let themselves to daydream and go to that space like what it’s going to feel like to finally be pregnant and be a mom and what are their fears that come up around that and their partnerships, like are there fears that are holding them back because I’ve seen it so much clinically. Sometimes it’s one treatment where they break down on the table and tell me a story about their mom and the damage that was done and they’re so scared to repeat it. Then from there, it’s not like that’s it and then they get pregnant the next month, but sometimes they do. But just more that then from there they take more ownership and responsibility in their feelings and their actions and how they support themselves and nourish themselves. That’s when you really see the fertility thrive and it’s beautiful. I always say that my job, I don’t really focus on the positive pregnancy test. That’s not important to me. My job is to get a woman to her healthiest space mentally, emotionally, physically, nutritionally so she has a healthy pregnancy, delivers a healthy baby and brings that baby into a healthy, happy home. That’s really my mission, is what is the world going to look like for that child on the internet side and how are you going to nourish and support yourself and that baby through your pregnancy. When you’re reconnected to yourself and really in your power, you make a world of difference to the health of yourself and the health of that child. AR: Eighty percent of the women that have fertility challenges that are unexplained infertility probably have Hashi’s. So, I would love to. 31:10 CL: So yeah, let’s get back together and do this. Then please tell us the title of your book again and then how someone finds out more information about you. AR: So Body Belief is the new book coming out and we just got an amazing endorsement from Christiane Northrup. So excited. March 13. This is the fertility book “Yes, You Can Get Pregnant”. But “Body Belief” would work for you as well because it’s really touching upon the autoimmune as well and the emotional piece. 31:38 CL: Or get them both and just fill your mind with positive information. AR: Yeah, it is. I’m lucky. I know a lot of people are challenged with always staying in the glass half-full. But I was just kind of born that way and so I try to spread that as much from a compassion and understanding space as I can. You can find me at AimeeRaupp.com and everything you need to learn about me is there. So I look forward to helping you and getting this information out. Charlene, thank you so much for all you do. AR: And yeah, wishing you guys all the best on your journey and keep hope alive. That’s it. 32:25 CL: Thanks so much. If you like the content today, please subscribe and we’ll bring Aimee on again and hopefully very soon. Thank so much. I really, really appreciate who you are and the message that you’re putting out there. Thank you, Aimee. All right. Bye-bye.